In this fast-paced world, clients are always looking for efficient services. A beauty parlour is usually angled to only a particular service that they excel at. They are efficient and quick in the services they provide. The beauty industry is booming. According to a KPMG report, the size of beauty and wellness market was expected to touch Rs. 80,370 crores 2017-18. With the rise of social media, everyone wants to look they’re best, whether they’re at work, home or out with friends. 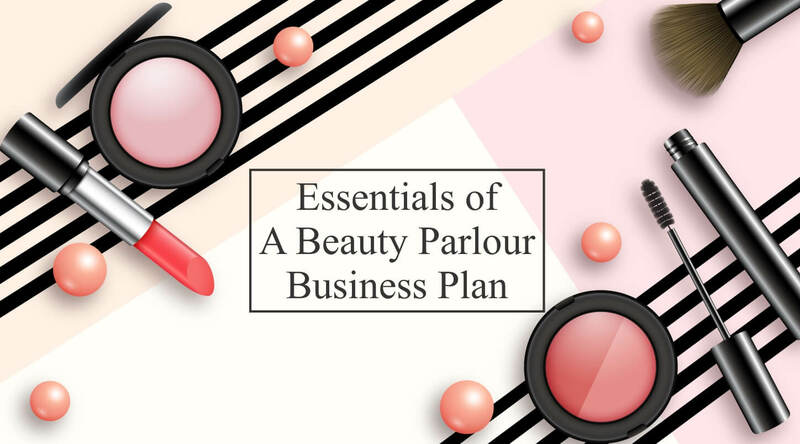 Starting a beauty business will require a lot of effort and commitment, but if you are passionate and knowledgeable about the industry, you can succeed. To further help the process, here is a list of essentials to include in your business plan. An executive summary is an important communication tool. It will help you and your investors understand the plan at a glance. It is important that you keep up with the current trends and have a good idea as to what it is that you can or cannot provide. Describe your target market, include the demographics and market growth. A Beauty parlour is a woman’s equivalent to a barbershop. Each group will require a different type of service. List down each individual section and what services they would require as a part of the market study. You must define the milestones in your business with specific dates or time periods. Decide what your strategy for the implementation is going to be and how you’re going to spread the word once you start your business. Brand promotion is very important in the beauty salon business. The success of any budding salon depends on a core group of clients. Name and describe in detail the main members of your team and what their responsibilities will be. This will give you a better idea of the requirement of personnel and what gaps you might have to work out in terms of employees. Financing plays a major role in starting your business. It should aim to be as specific as you can when it comes to your finance, which includes describing your financial strategy and how it will support your projected growth. You must also figure out where you will get your funding from. There are multiple options to choose from. You can self finance your business or get investments or loans from friends and family who are willing. A great option is to opt for a bank loan. Find out the business loan schemes that your bank might have. Government organisations and grants also have such schemes. Research all your options and identify the one that works for you and your business. Effective marketing starts with a considered, well-informed marketing strategy. A good marketing strategy helps you define your vision, mission and business goals, and outlines the steps you need to take to achieve these goals. It is better to have a marketing strategy before starting your business. You must decide and create the content you will be using for marketing beforehand. Be sure to set up a website for your business and make brochures and flyers. You can even plan to use social media and post on a regular schedule. Although these are the basic components of writing a business plan, you can edit it according to your specification. Writing a business plan is the first step you will take in making your dream a reality. Starting a business can be exciting and having a business plan helps in making the process easier and smoother. Any good business has a strong business plan behind it. For any business planning help or questions about business planning, contact deAsra.